Please leave feedback, bugs pictures and repo-steps in here! 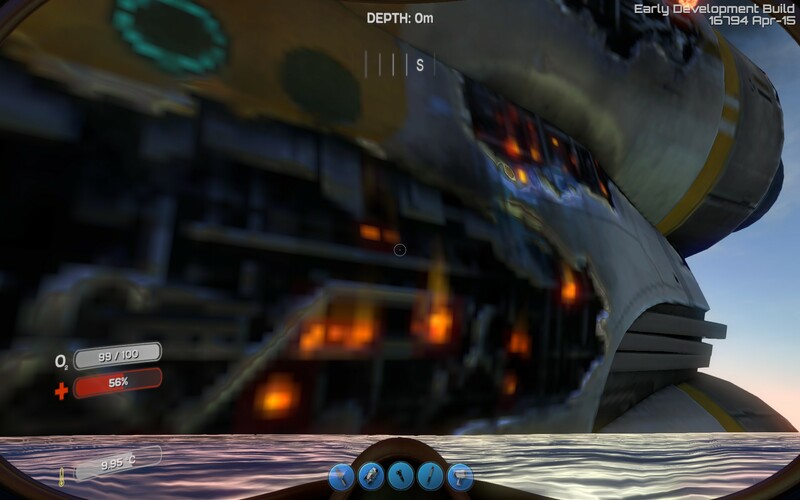 Saving while in a seamoth makes the player appear outside the seamoth after loading. 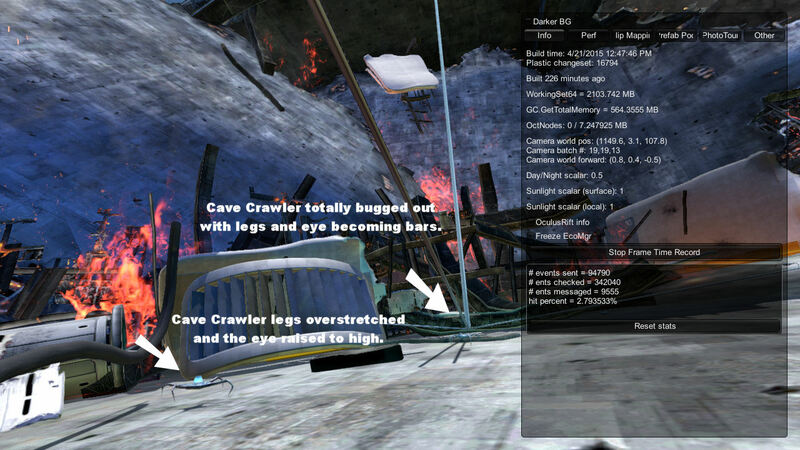 The view also moves around while using the menu. 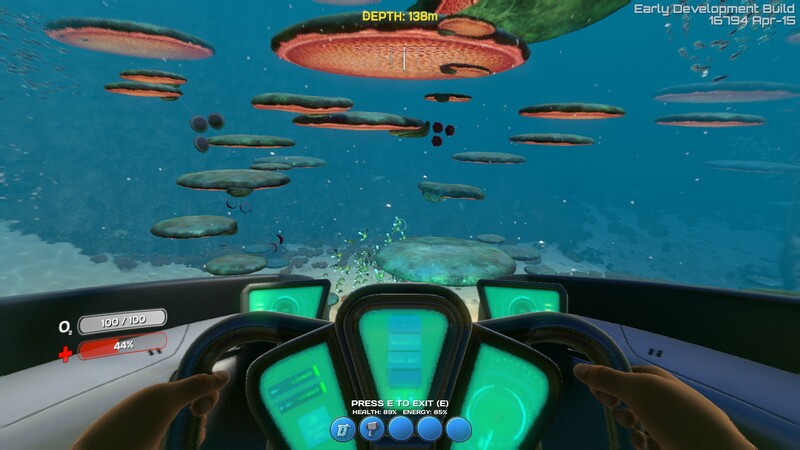 - Note that the player is no longer driving the seamoth. 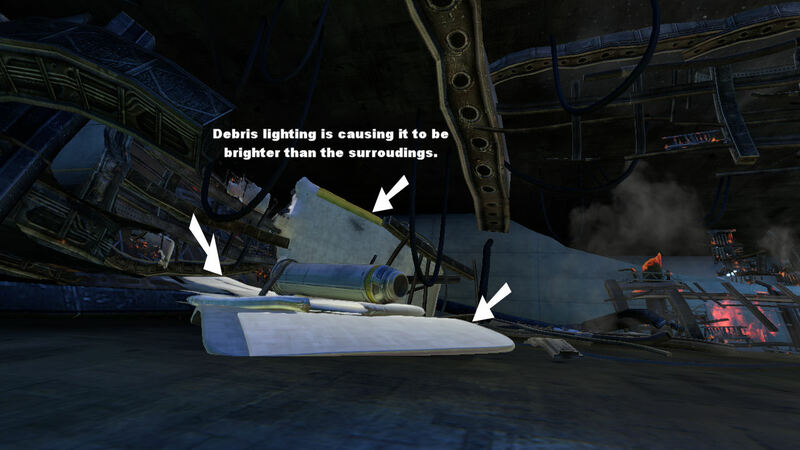 In some cases, you can hear the collision noise and the player bounces around a bit at load. 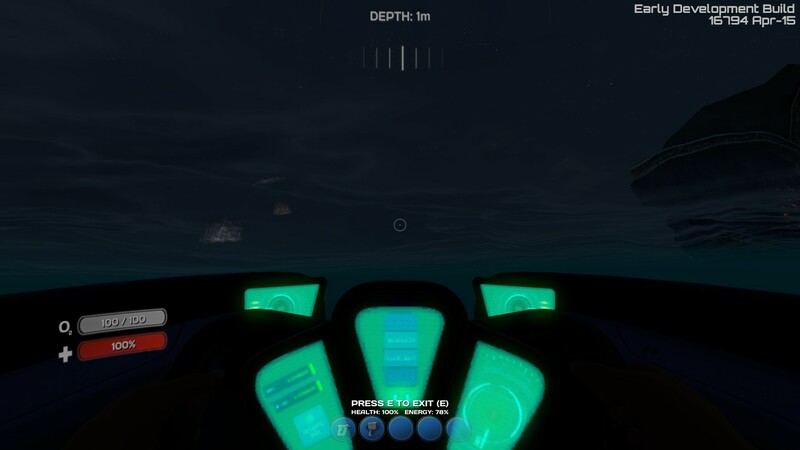 If the player saved while inside a sub, they should still be inside it when they reload the game. 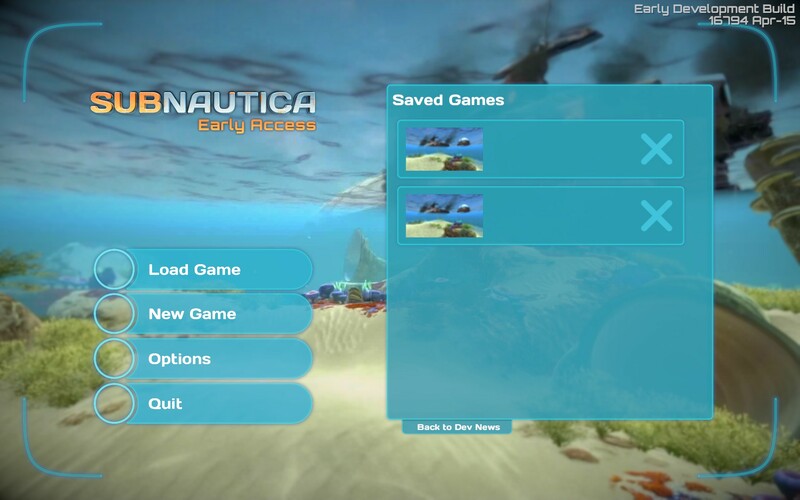 This happens with my old save from quite a while ago which has been saved in the latest build (top save), as well as a brand new game in any mode saved as well (2nd save). 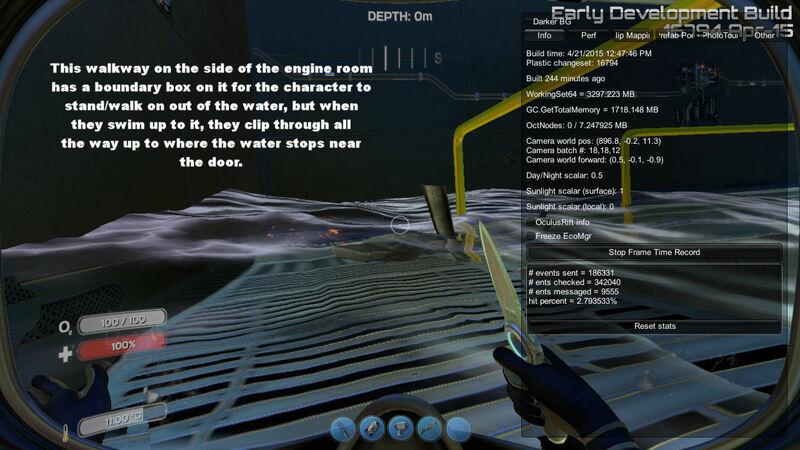 Details should be shown on the save games, such as timestamp and game type. 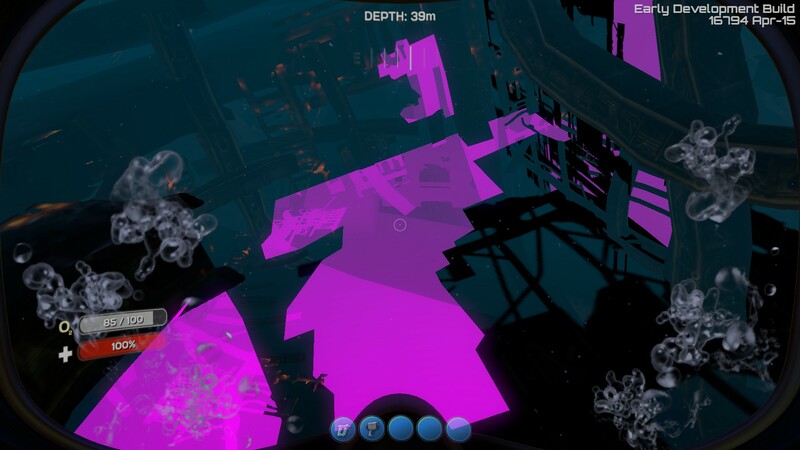 Beaching yourself in a seamoth can get you stuck in it and you can't exit. 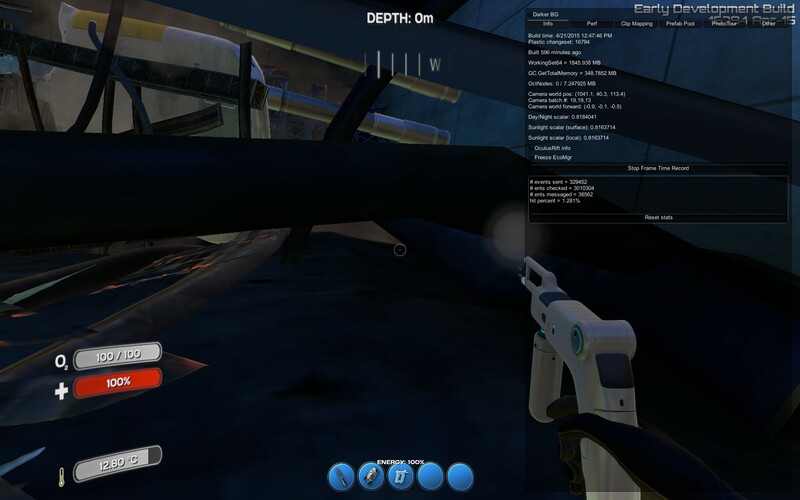 - Attempt to exit the seamoth, note the message displayed "SpawnNearby failed x1"
The player should be able to exit the seamoth when it gets beached. 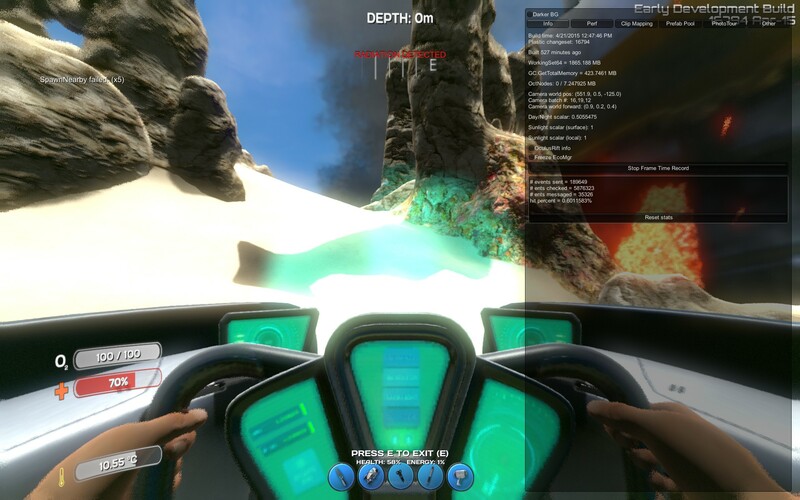 - Drive around a bit until seamoth runs out of power (quite a way from the life pod). 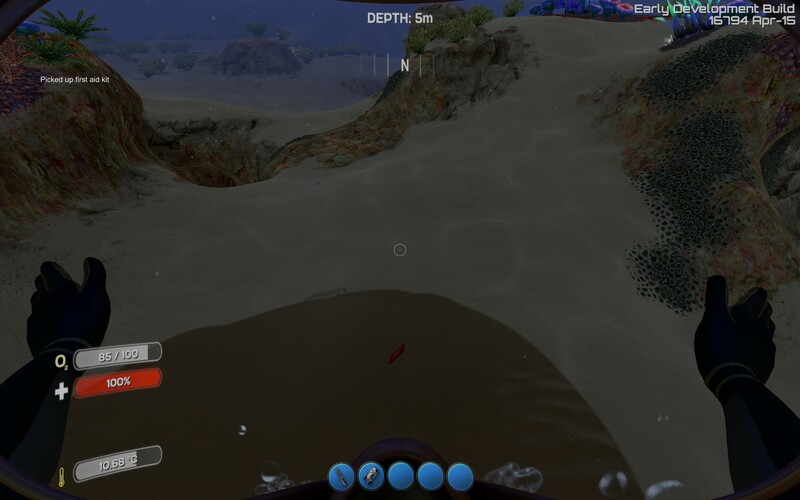 - Spawned back 'near' the lifepod (but not in it) and immediately saw my supply crate from inside the pod falling through the water and stop at the sand below. 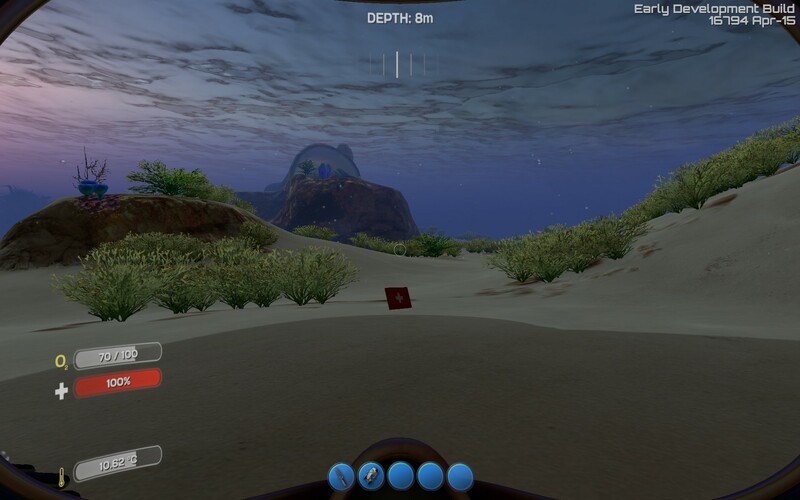 When respawning, the player should be inside the life pod or the last sub they entered. 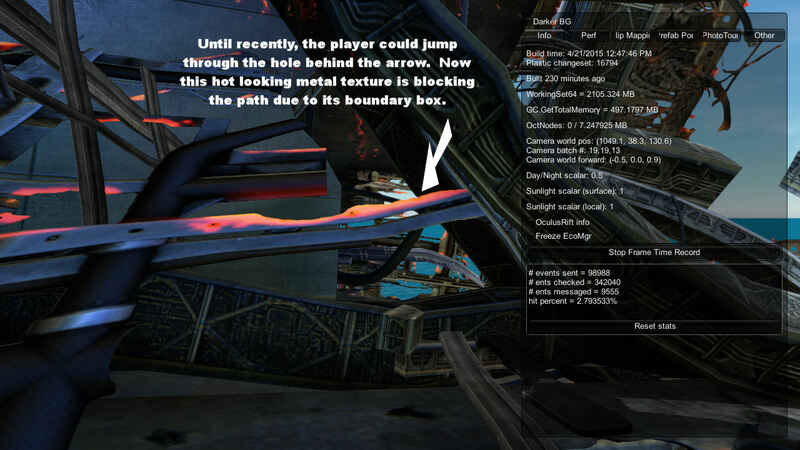 No items should clip through the floor when teleported to that chunk if the player is far away. The text also doesn't abide to the same lighting rules as the rest of the model so looks a bit odd, much darker on the beginning and end than the sub behind it. 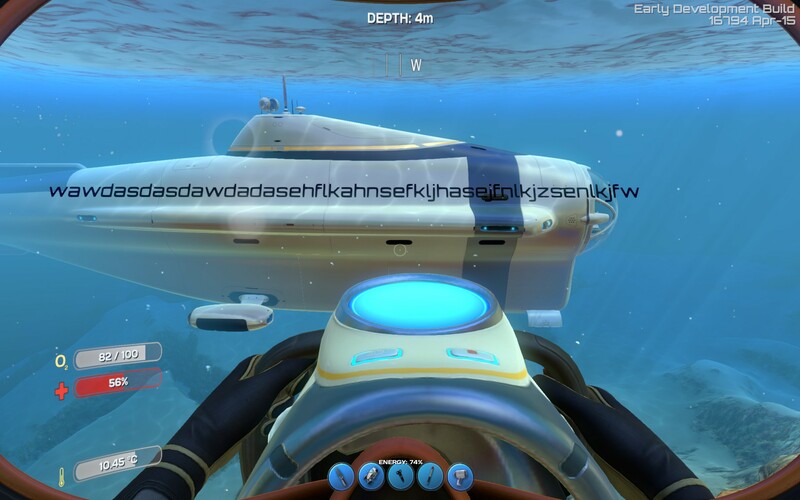 The name of the Cyclops should fit within a designated length of hull and adhere to the same lighting if possible so as not to look out of place. 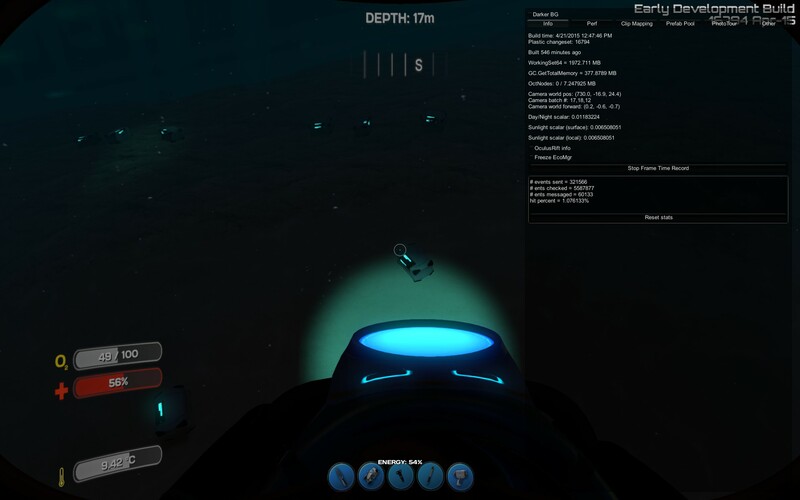 - Check the sea bed for crates and notice there are a LOT here (including odd lines of 3 showing up as in the screenshot). There should not be so many loot crates around here, especially not the "three in a row". When creating a first aid kit in the fabricator, there is no model being shown, only the couple of blue lasers shooting thin air. (this may be related to #2 because the kit is so thin it may be 'hiding' inside the fabricator model). The fabricator should show a model of the kit when being built. The first aid kit is too thin when dropped in the world. 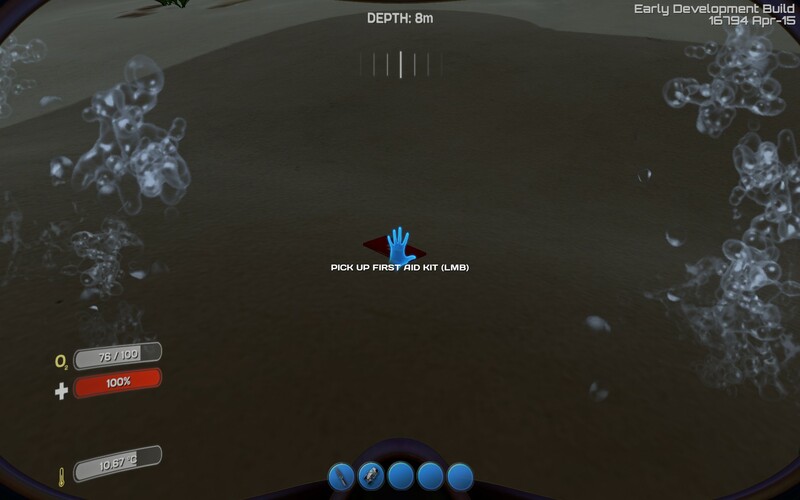 The icon makes it look like it should be a thicker box shape, and currently the thin version can get lost in the sand when dropped. The kit should be thicker, more like a box, so it does not get lost in the sand and looks more substantial. 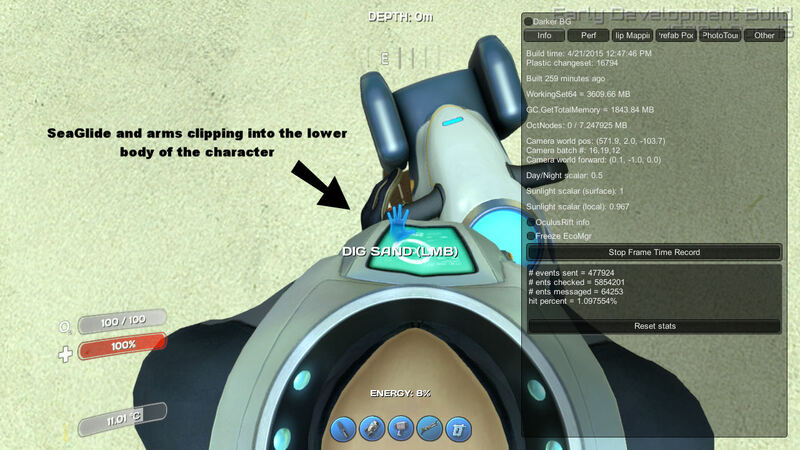 - Inspect the first aid's hover-over text. To be consistent with other food and water sources, the tooltip should show how much health is healed by the kit. 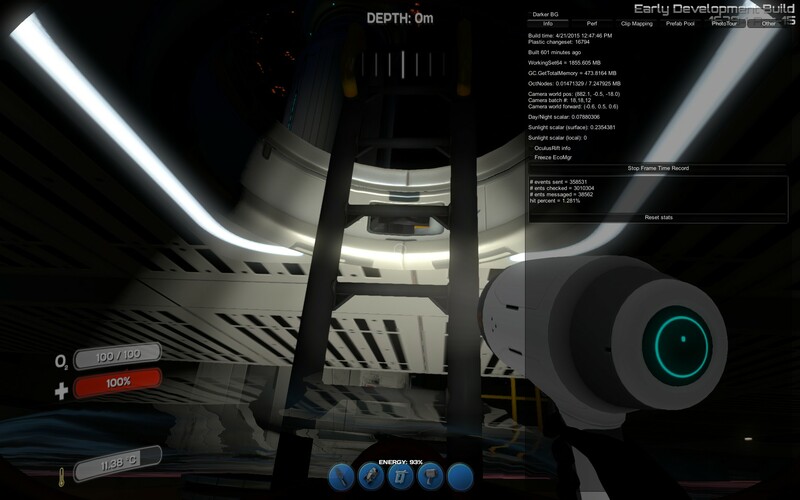 In the Engine Room, these ladders can be clipped through. 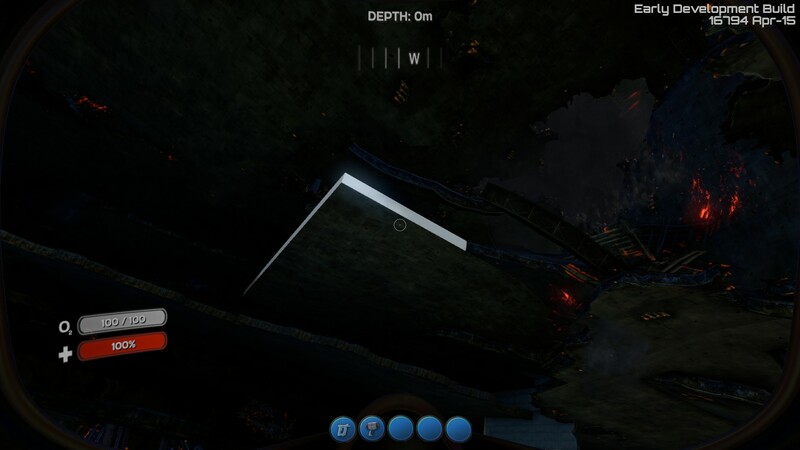 Also I would expect them to exhibit a climbable action the same as the ladder on the life pod (click to climb up and be back on the walkway above). Flares seem "reusable" at the moment, exhibiting some slightly irrational behaviour. 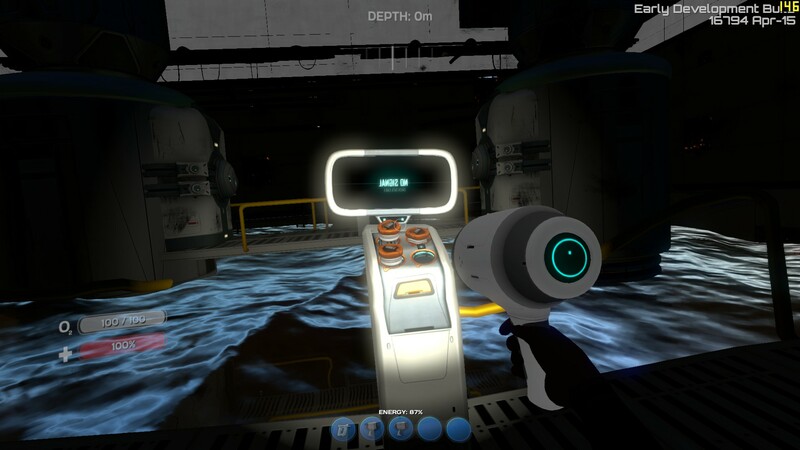 It also would be nice if allowed to swim whilst holding them, like an "area effect flashlight", but maybe lighting up a smaller area. 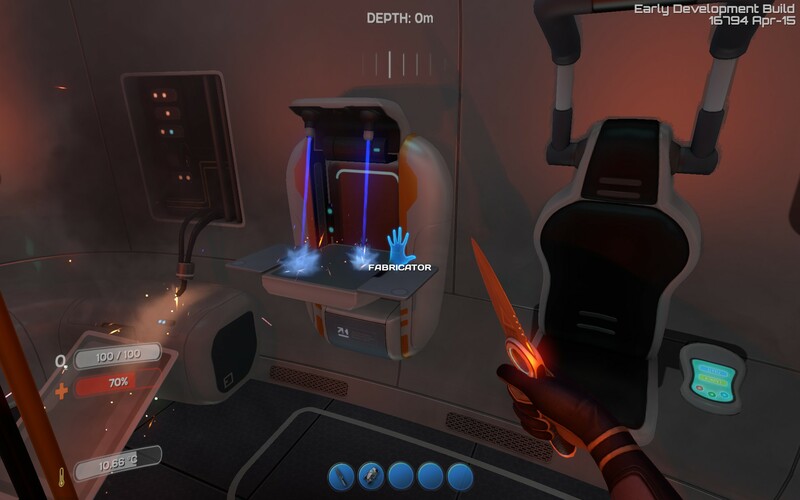 - Flares should be able to be held in the hand while lit. - If you throw a flare, you can pick it up and hold it in your hand to swim around with it. - If you put it back in your inventory, it should remember how long it has been used for already, and when lit again continue from that timer. - Flares should last anywhere from between 2 minutes to 5 minutes of light time. 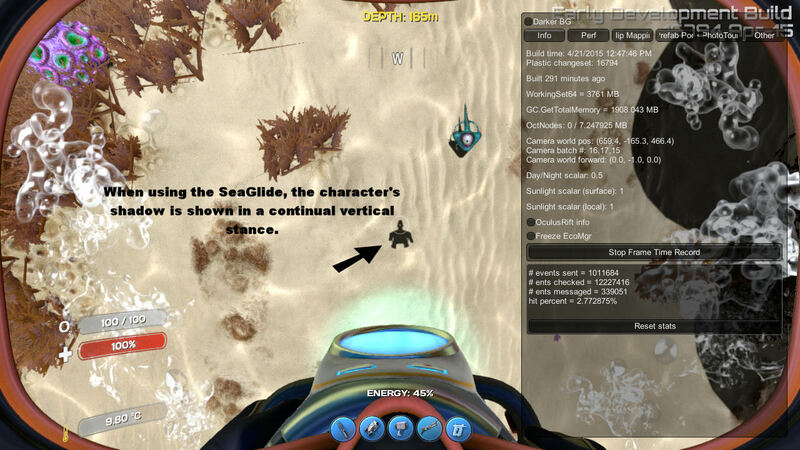 Perhaps this could be shown by having a small bar on the bottom of the flare icon for duration remaining. Going from full green at 100% to red at around 20%. This could be used for other items as well such as batteries or power packs if they end up being half used and somehow back in the player's inventory. 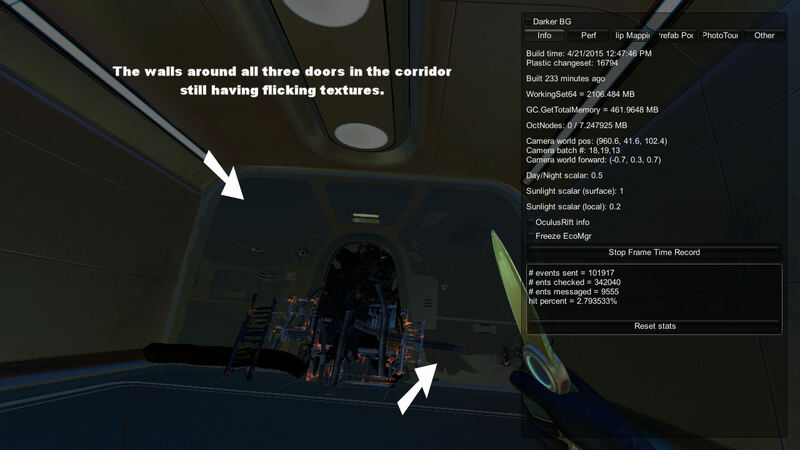 In the Fabricator, the Seaglide, Stasis Rifle and Welder do not have creation animations, only lasers hitting the table top. 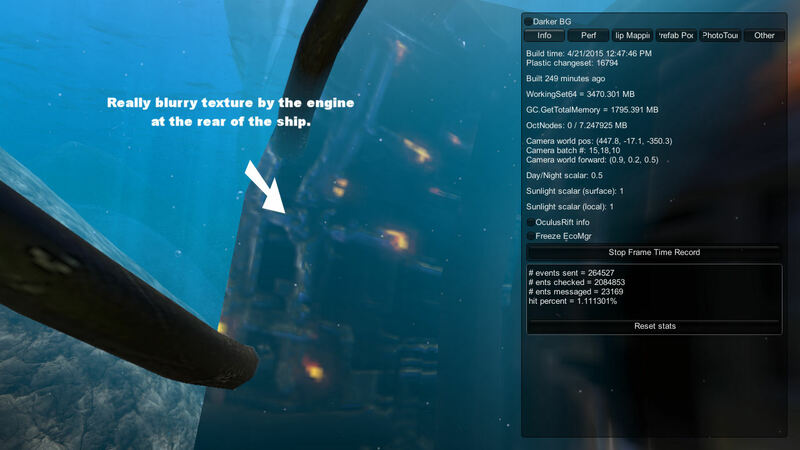 Also, the two submarine submenus for hull reinforcements are missing their clickable icons. 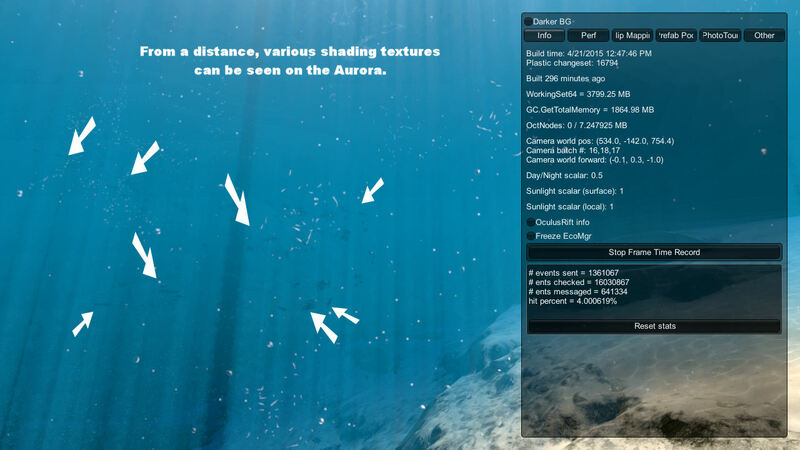 The options are there when you hover the mouse in the locations, but not visual icon. 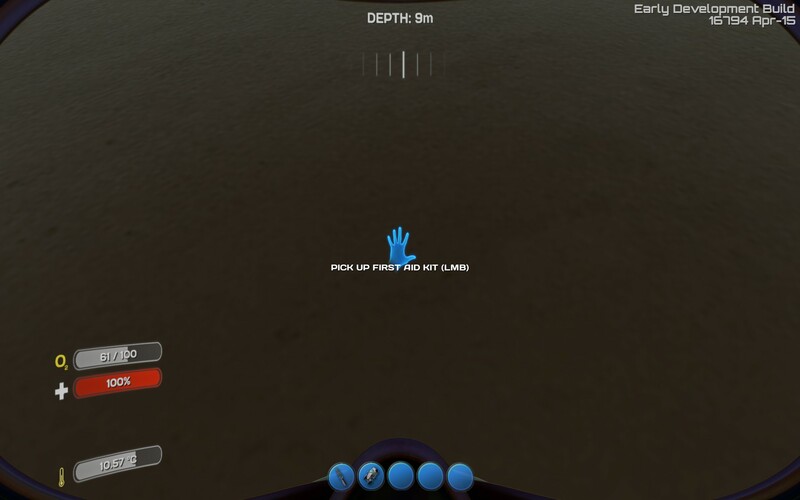 Concerning the submarine's upgrade console attached to the engine, there are four slots on the front, but only three in the menu. One more should be added. 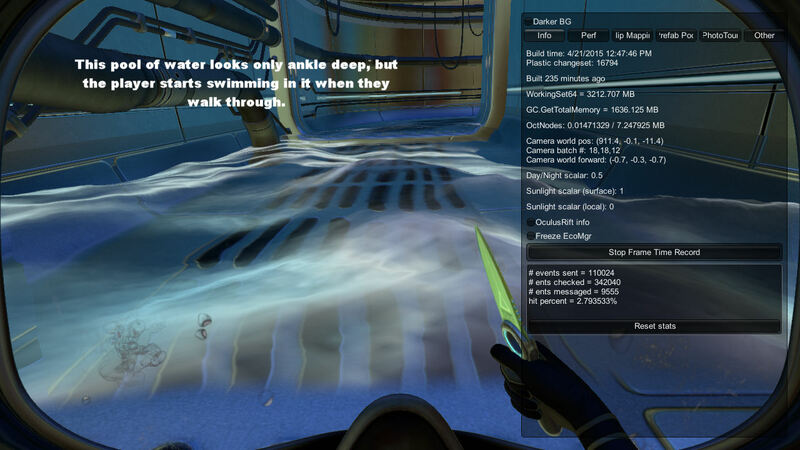 If a knife is dropped or spawned to let drop onto the ocean floor, it disappears into the sand and can not be recovered. 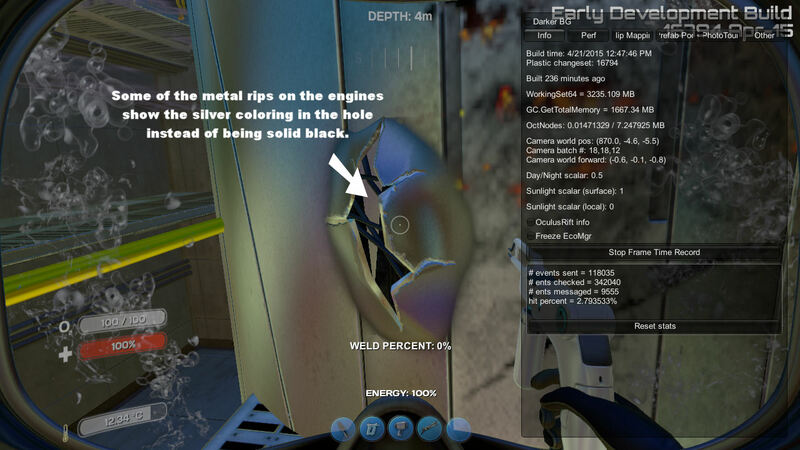 Look into having the hatch does open/close like the Seamoth bay doors. Finally rebuilt my floating island and put a base on it like before, which never gave me any problems entering and exiting. Now, the hatches keep saying "exit" and I can not get inside. 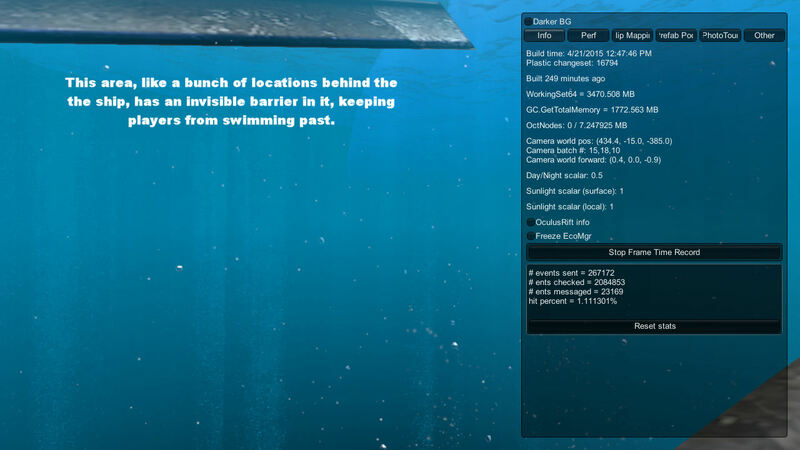 Plus, I'm suddenly not swimming anymore. 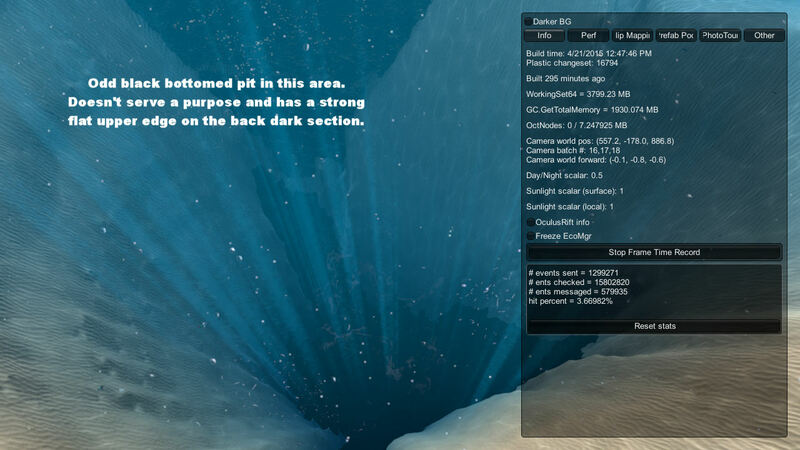 Instead, I fall to the ocean floor. Even if I kill myself, I appear outside the hatch of the base.